An eclectic compilation of some of the best-known and most popular contemporary Christian songs of the past few years. 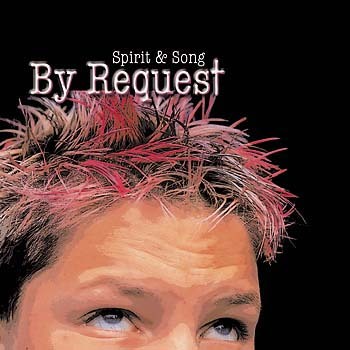 Spirit & Song: By Request is an eclectic compilation of some of the best-known and most popular contemporary Christian songs of the past few years. Featuring rock, pop and reggae tracks, ballads and innovative remakes of worship standards, By Request is also a sampling of some of the most requested songs in the Spirit & Song songbook. Many of your favorite artists were involved in the project as songwriters and performers, including Matt Maher, Tom Booth, Jesse Manibusan, Steve Angrisano and others. Highlights include "How Beautiful," a gorgeous ballad featuring Twila Paris on lead vocals and a lush, symphonic accompaniment by the Nashville String Machine: "How beautiful the hands that served the wine and the bread and the sons of the earth." Rich Mullins' classic Christian rock anthem, "Awesome God," is presented here in an edgy rendition by Tom Booth. Spirit & Song 2 is an amazing compilation of today's best contemporary music. But with more than 200 songs on 10 CDs, it can be a little intimidating. Spirit & Song 2: By Request makes it easy, gathering 15 of your favorite tracks onto one hot little disc. Opening with Curtis Stephan's "No Ordinary Day," a contagious pop/rock song from Through the Storm, the CD also features "We Will Follow," a smooth reggae track from Ken Canedo and Jesse Manibusan, and the ever-popular "So We Will Worship," by Sarah Hart. Other tracks include Steve Angrisano's catchy "Sweet Redeemer," Josh Blakesley's rocking "Our God Is Good" and Tom Booth's "The Lord Upholds My Life," from Unravel. The disc closes with Matt Maher's smash hit "Your Grace Is Enough," which was covered by Chris Tomlin on Arriving, his best-selling 2004 album. More than a greatest hits collection, Spirit & Song 2: By Request is the best and only way to get all your favorite songs and artists on one affordable CD.